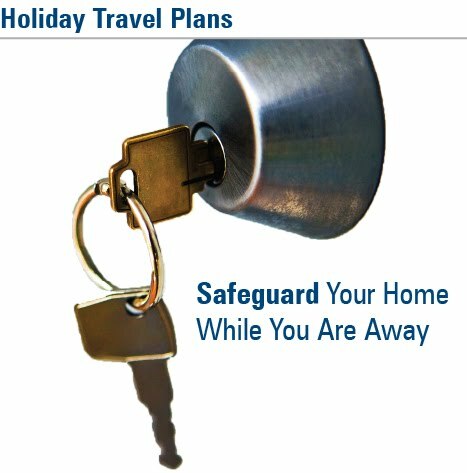 Use sturdy locks on all doors and windows and secure before you leave. Repair any broken windows or locks. Ask a neighbor or friend to periodically check on your home. Put a temporary hold on newspaper delivery. Use a simple plug-in timer to turn your lights on periodically. During the winter months, you may run into adverse driving conditions. Make sure to exercise additional care; for example, drive slowly and be aware of other drivers. If possible, avoid driving at all if the road is slippery or the weather is bad. Take steps to prevent further accidents – park safely, turn on emergency flashers. Call the police or ask someone to call for you. Obtain the other driver’s name, insurance company name and phone number, the vehicle’s license plate number, and the operator’s license number (obtain this information from all parties involved). Give the other driver your name, insurance company name and phone number, the vehicle’s license plate number, and your license number. Discuss the specifics of the accident only with the police. If you have a camera, take photos of the accident scene and vehicles if it is safe to do so. Poorly winterized homes can be a source of both property and liability insurance claims. However, an investment of time and preparation now can save you money and hassle in the long run. 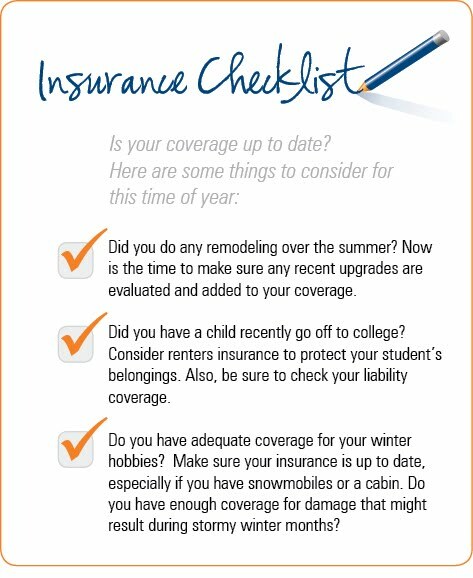 The following are tips to help prepare your home and minimize the risk of a wintertime insurance claim. Replace filters in all of your heating systems before turning them on for the season. Make sure your units have been professionally serviced, and replace the filters on a regular basis. Replace batteries in both smoke and carbon monoxide alarms. Check for and seal cracks and gaps around windows and doors. Seal around windows and walls where air-conditioning units are installed. Check the insulation in attics, basements, and crawl spaces. Too much heat escaping can cause ice and snow to melt too fast to be carried away efficiently. If moisture seeps into the roofing, it can cause damage or collapse. Adequate insulation can also help prevent the inconvenience of frozen or burst pipes. If pipes are located in unfinished spaces, such as garages, wrap the pipes with heating tape. 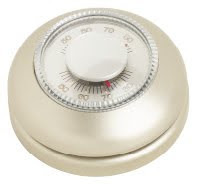 During the winter, keep interiors at 65 degrees or more. Remember, the interior temperature of walls can be a lot colder than the air in the rooms, putting pipes at risk of freezing. Check your driveway, sidewalks, and handrails to make sure they are in good repair - this important safety precaution may also limit your liability should an accident occur. Make sure your snow blower and other snow removal equipment is in working order. Having cleared walkways will help ensure no one is seriously injured on your property by winter weather conditions. Before the first freeze, remove debris from gutters so heavy winter rains and melting snow can flow freely and not damage your roof or walls. Consider installing gutter guards to keep gutters clear from additional debris. Survey your landscaping. Trim trees with overhanging limbs that could block your walkways or endanger your home or vehicles during heavy snowfall and ice storms.